Donated amounts of less than $100 will be considered a general donation. Click here to make a donation. Sport your support when you have a Georgia AT License Plate! The Appalachian Trail Conservancy (ATC) receives $10 annually for each Georgia specialty A.T. plate purchased or renewed. Since the plate became available in 2013, Georgia license plate holders have raised almost $100,000 for ATC. Each year, the ATC uses funds from the sale of Georgia A.T. license plates to provide grants to organizations and individuals who are working to help fulfill the ATC’s mission within the state of Georgia. Since 2014, $62,195 has been awarded to grant recipients working on a wide variety of A.T.-related projects. Click here for a year-by-year summary of previous grantees and projects that received funding. While the Georgia Appalachian Trail Club does not endorse Amazon, we appreciate their support through the Amazon Smile program. If you shop there please consider using this link. Through this program, the Club will receive a small portion of the proceeds of your shopping. Click here to shop at Amazon and help provide funds to preserve and maintain the Appalachian Trail in Georgia at no additional expense to you. Here it is the beginning of April and spring is upon us! This is such a great time to be on the trail because trees and plants are starting to bloom and the “green tunnel” has not grown in. In early March I attended the annual Southern Partnership Meeting along with Babette Broussard, Don Hicks and Joe Boone. At this event we gather with partners from the Chattahoochee National Forest and the Appalachian Trail Conservancy (ATC) along with other clubs and partners from the Southern (SORO) and Virginia (VARO) Regions. During the plenary session ATC talked about starting a new Strategic Planning process. The current plan was made for five years in 2014 and will conclude this year. The focus will be on what the trail will be like in the near future. ATC looks to have a strong influence on the direction of the trail and those involved with the management. There was discussion about revising the Memorandum of Understanding with the ATC. It has been many years since we have revised this contract. Morgan Sommerville, SORO Regional Director, attended a recent board meeting where this was discussed. I think we should have everything lined up soon. An article was distributed about a volunteer who was late returning from a solo work trip. Apparently, the weather turned colder than expected and the person was not prepared. A search and rescue team was deployed and he was found seven hours after he was supposed to be home. 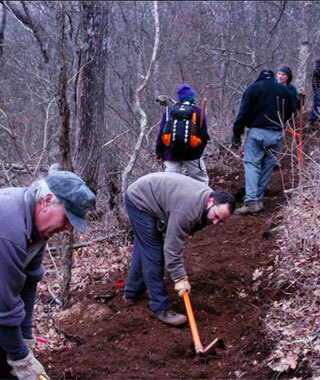 The important lesson to learn is that we should do our trail work with at least one partner. Leaving an itinerary, behind indicating where you park and work is also important to insure our safety. I attended a session about bear resistant food storage containers, as approved by the Interagency Grizzly Bear Committee. There is a movement for this requirement in the Nantahala and Cherokee National Forests and our Chattahoochee NF is moving in that direction, as well. I support such a measure and expect to see implementation in a couple of years. In 1873 Yellowstone became the first national park. In 1916 the National Park Service was established to protect the growing number of national parks. These areas started marketing themselves to attract Americans who were generally afraid of the woods. With these barriers broken down and new transportation options, such as cars and trains, it became easier for people to get to the parks. Destination lodges were built so visitors would have somewhere to stay. Over the last hundreds years visitation increased so much that it appears as if we are loving our parks to death. Many visitors are completely unaware of the significant impacts they make. Now many of our treasured public lands are suffering and it becomes harder to find a “wilderness” experience. So the question of promotion becomes relevant. Is it necessary to promote visitation to our wild areas when the result is increased impact? I think we need to be more concerned about protecting these resources. On a large scale we can fight incursions such as pipelines, mining, casinos etc. 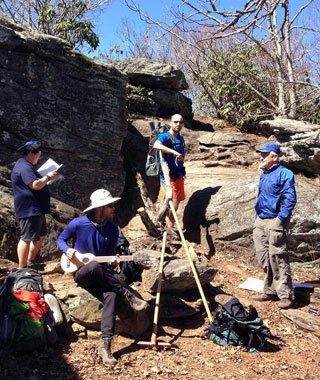 For these major defenses we need the Appalachian Trail Conservancy. Another way to protect the resources is through education. I am convinced that practically all visitors to our wild areas are totally unaware of the impact they bring. I find that when they are made aware their behavior changes. To that end I will be working with the PATHE – Education subcommittee to develop some programs. 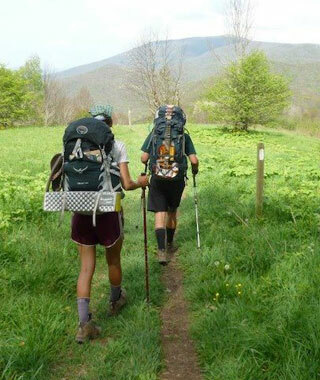 At this point we are in the middle of the Thru-Hiker season. It looks like the numbers are just behind last year’s, which is good. Most of the aspirants seem to be fairly well prepared although their experience level in unknown. I talked with one “starter” who appeared well packed and claimed to have a lot of experience. He had been watching You Tube videos for three years and identified several reliable sources for recommendations on buying gear. He had it intellectually, but had not spent a night on the ground. I think he will make it. Notwithstanding physical restraints like a broken limb, successful completion of a thru hike is not gear based but mental. If a hiker’s attitude is in the “right place” they will get their trail legs and will figure out gear to take and what to leave behind. New congressional action, signed into law on December 20, 2018, created a new wilderness area and expanded five existing wilderness areas in the Cherokee National Forest. This was woven into a package of legislation known as the "farm bill." The new Upper Bald River Wilderness will protect about 9,000 acres in Monroe County, including the headwaters of the Upper Bald River. Sampson Mountain is the centerpiece of the region. Expanded wilderness protection would add 2,922 acres west of the Bald Mountain range and help form a broader conservation and outdoor recreation area along the Appalachian National Scenic Trail. The Tennessee Wilderness Act would add 4,446 acres to the northeast of the existing wilderness, preserving several miles of the Appalachian National Scenic Trail and protecting important fisheries in the nearby Watauga Lake and Watauga River. 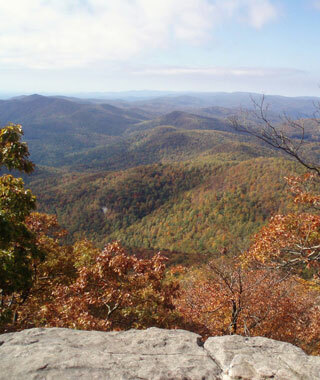 The Joyce Kilmer-Slickrock Wilderness contains land in both Tennessee and North Carolina. The addition would help wildlife bridge the gap between the Cherokee National Forest and Great Smoky Mountains National Park, protecting an exceptional black bear habitat in the process. The Big Frog Wilderness combined with the adjacent Cohutta Wilderness, forms the largest tract of wilderness on National Forest Service lands in the eastern United States. Little Frog Mountain Wilderness, companion to Big Frog Wilderness, would add nearly 1,000 acres, incorporating part of the Benton MacKaye Trail and popular whitewater rapids. 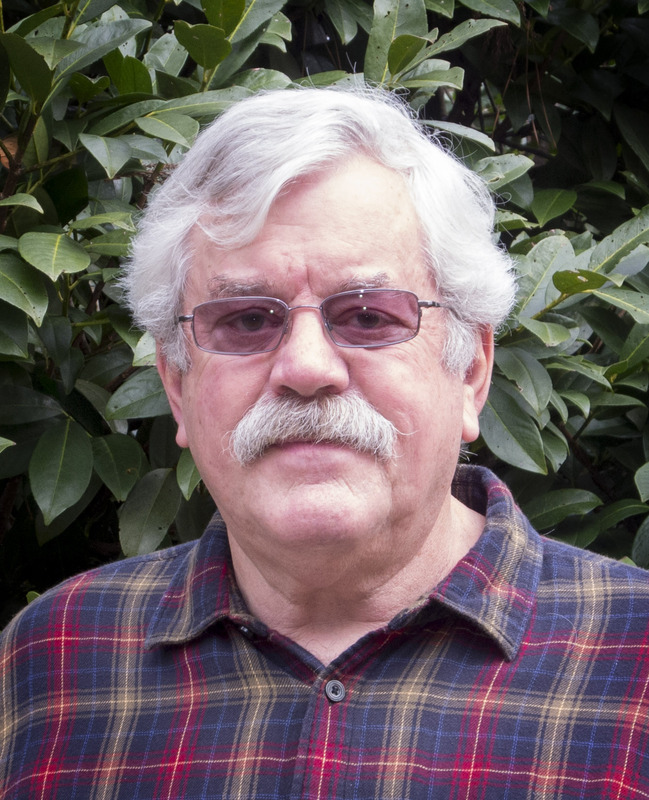 It would also protect habitats for black bear, bobcat, white-tailed deer and other species. That’s it for now, see y’all on the trail. January 4, 2019 - No Closures at this time impacting the Appalachian Trail in Georgia. The Georgia Appalachian Trail Club manages, maintains and protects the Appalachian National Scenic Trail in Georgia with volunteers from its membership and the interested public. The Georgia Appalachian Trail Club promotes the appreciation of the Appalachian National Scenic Trail and natural outdoor places through education and recreational activities, with an emphasis on conservation ethics and protection of the forests, their natural resources and wilderness areas. All of the A.T. in Georgia falls within the Forest. ATC manages all aspects of the A.T. from Georgia to Maine. Practice the Leave No Trace Seven Principles.